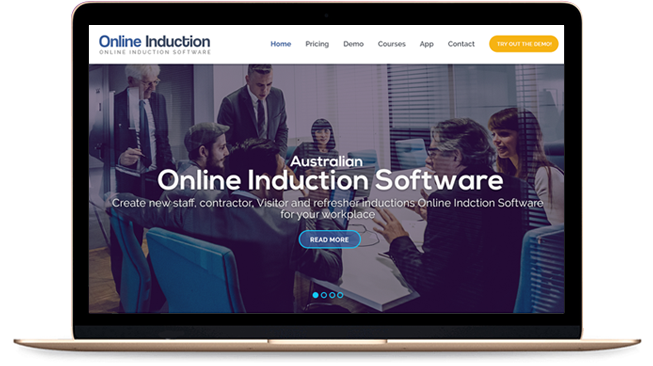 Online Induction Software Australia: What is an Online Induction? What is an Online Induction and why do you need one? An Online Induction is the first safety and HR focused engagement point for contractors, employees and visitors who are about to work or visit your organisation, site or project. Using the Internet, you can publish a series of online steps for the inductee to progress through ranging from a safety induction, collecting insurances, evidence of training and other certifications, publishing HR and Safety policies and procedures, check lists and online assessments to ensure they understand the induction content. Organisations of all sizes should establish an online induction to ensure proper knowledge management amongst roles, proper training on important safety topics which could prevent an injury, property training on reporting protocols, worker policies and procedures and an understanding of compliance and HR rules.